An inexperienced company was previously hired to beautify and protect the various stone floors at Masonry Supplier’s exterior showroom floor. Unfortunately, they used a coating that looked great at first, but two weeks later, the floor turned white from calcium and mineral deposits in the moisture trapped between the improper coating and the stone. 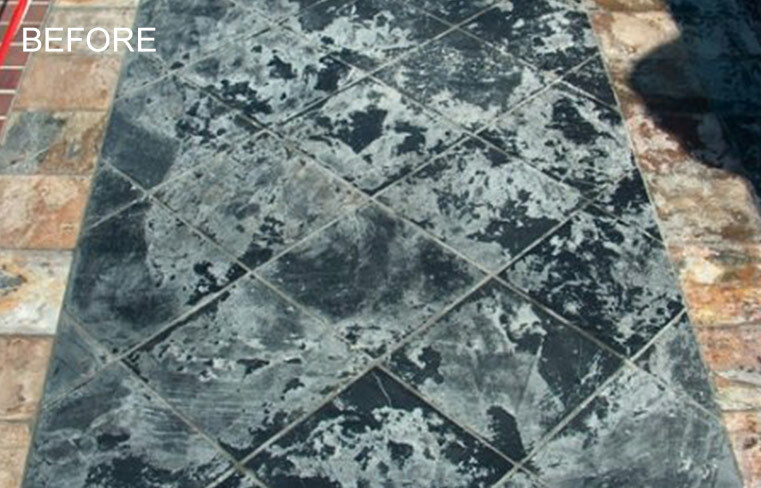 This type of problem, in the stone and tile restoration industry, is called efflorescence. Natural Stone Care’s master technicians completely stripped and removed the coating from the surface of the stone and the grout lines. 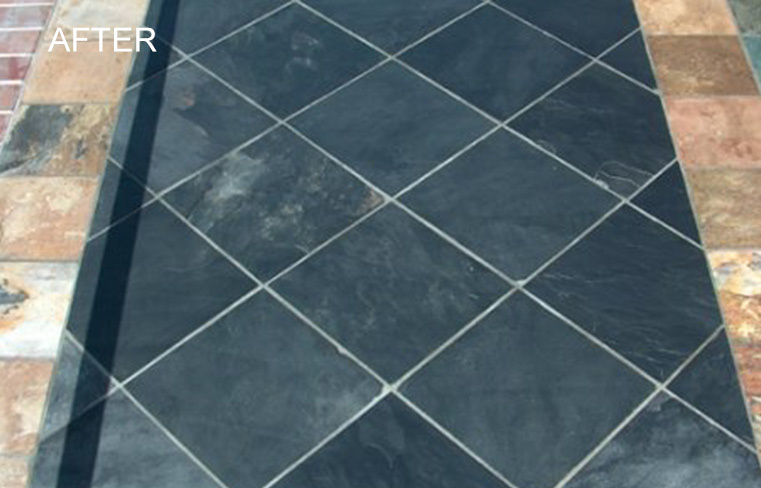 We cleaned and resealed the slate with the right kind of coating, a premium, penetrating (natural look) sealant. Problem solved! Months later, Masonry Supplier reported that the white appearance hasn’t returned, and the floor still looks great. 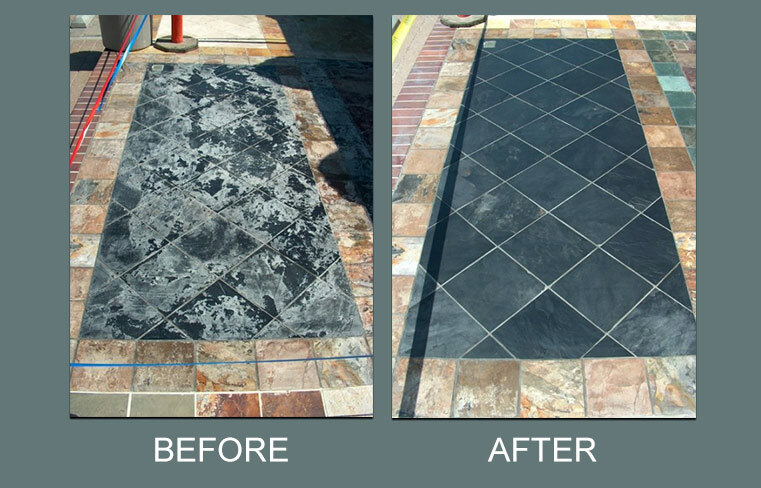 For a free estimate on slate cleaning, sealing, enhancing, repair, and restoration services throughout the Newport Beach, Orange County, CA area, contact us online or call (866) 985-0211 today.